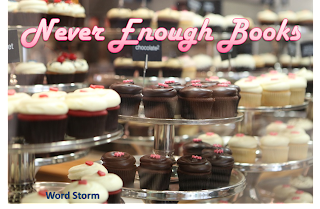 Some of you might be wondering what a bunch of cupcakes has to do with books. First of all, I’ve been craving chocolate lately, and you may notice some of those little beauties have chocolate icing. (You can have the cupcake. I’ll take the icing. Now we’re both happy!) Secondly, both chocolates and books are delights of mine. So, if cheap plots can be compared with potato chips, what about comparing good books to mouth-watering chocolate? The more chocolate, the merrier. Right? Or so people say. Is there really such a thing as not enough chocolate? Even for the greatest of chocolate lovers, like myself, tubs of ice-cream with five different flavors of chocolate can be overwhelming. What about reading? Is there ever such a thing as too many books? Many books worms would laugh and say “No!” Really? That’s just how the chocolate lovers responded. This summer I finished reading Anne of Green Gables for the first time, and one thing I found surprising was some of the talk about books. Both Anne and her best friend Diana enjoy reading fiction, much like myself, but Marilla (the woman who adopts Anne) and Mrs. Barry (Diana’s mother) believe both the girls read too much. In fact, in several instances the girls are discouraged from reading so much because it might ruin their eyes or detract from their ability to socialize. Sound like something familiar today? The first thing that came to my mind is technology. Perhaps one of the main concerns of parents (or siblings) today is that children spend more time watching TV or playing video games than they do playing outside, hanging out with friends, or reading a good book. After reading Anne of Green Gables, it was surprising to think that parents may have seen fiction in the same destructive manner! Of course, this book has to be considered in its own cultural context, way before the time of technologies we have today. But perhaps there has always been something throughout the centuries that detracted from socialization, exercise, or chores. In Anne’s time it was books, later it was the radio, then television, and today it’s video games and the internet. Who knows what it will be in the future. But the question remains: are books still a distraction today? Perhaps they aren’t a major concern like different forms of technology because many children and adults don’t read. Yet that doesn’t mean that an abundance of books can’t hinder avid readers. While reading can provide a welcome escape, it can, at times, serve as a hindrance just like technology if readers aren’t careful. After our most recent move, my sister was sitting around reading in a social situation when everybody else was greeting each other. I poked her and told her to come say hello to people. One guy behind me remarked, “Yeah, don’t let her do anything intellectual like read!” I actually fully support my sister’s reading, for it’s been a long struggle to encourage her to do so! But this man didn’t realize this was the way she avoided people. We’d just moved to a strange, new place. How could I expect her to socialize with complete strangers when I was the introvert and her the extrovert? When I had read to avoid people countless times before? Yes, books can be a distraction. Sometimes there’s a fine line between reading as an enjoyable, intellectual activity to an antisocial, withdrawn one. It’s important for readers to recognize this line and know when to put the book down. After all, even Anne and Diana ended up good friends, and Anne came to be at the top of her class. While it’s not a bad idea to pick up a book, don’t abandon the opportunity to make a friend. After all, other readers can engage in excellent bookish discussions. Like how there are too many books in the world for a person to possibly hope to read. It’s not that readers can never have enough books. It’s that readers can never have enough time. How many books are on your shelf? Do they ever serve as a distraction? Bonus question: What’s your favorite type of chocolate? Go! Literary references: L.M. Montgomery’s Anne of Green Gables. I have too many books on my shelves and wish I had a few more shelves. :) Books can definitely serve as a distraction in good and bad ways. As a shy kid, I always had a book with me. Now, I kind of hide that habit by having kindle books on my phone - but I still have them with me, just in case. This means I'm using tech and books to hide sometimes, but I try not to read too often in public places. I know what you mean about wanting more shelf space! Last semester, my books were practically falling off my bookcase I had so many. And I'm glad I'm not the only one who does that with my phone. Reading apps can be so helpful!